Washington, D.C.-(ENEWSPF)- Following allegations that the EPA “suppressed” an internal document that was skeptical of climate change, several Fox News figures have advanced the document’s false claim — previously repeated by CBS — that, in Fox News host Steve Doocy’s words, “for the last 11 years, temperatures had been dropping.” In fact, Doocy’s claim simply is not true. In fact, as Media Matters for America has noted, annual global average temperatures have both risen and fallen over the past 11 years, and while there have been some relatively cooler years during that period — including a decline in each of the past three relative to the year before — climate scientists reject the idea that those temperatures are any indication that global warming is slowing or does not exist. Scientists have identified a long-term warming trend spanning several decades that is independent from the normal climate variability — which includes relatively short-term changes in climate due to events like El Niño and La Niña — to which they attribute the recent relatively cooler temperatures. On June 30, Fox & Friends interviewed EPA research analyst Alan Carlin — one of the authors of the “suppressed” document. After Carlin stated that he wrote the document because the “EPA, in my view, needed to look at the science behind global warming and not depend on reports issued by the United Nations,” Doocy replied, “And, in fact, it’s problematic because for the last 11 years, temperatures had been dropping.” Carlin did not challenge Doocy’s statement. DOOCY: Welcome back. As Congress debated energy legislation just last week, a disturbing story was quietly spreading about an internal report at the EPA that had to be used or hushed — what is the word? Hushed, before anyone heard about it. The report debunked the science behind global warming, and its conclusions proved so inconvenient that that report was shelved. GRETCHEN CARLSON (co-host): All right, so we have the person who wrote this report, Alan Carlin, a researcher at the EPA and the author of that controversial report. He joins us live this morning from D.C. Good morning to you, Mr. Carlin. CARLSON: All right, so most of us are not scientists. You are. You’ve worked for the EPA for 38 years. Tell us in a nutshell what your report said this spring. CARLIN: The most important finding was that EPA, in my view, needed to look at the science behind global warming and not depend on reports issued by the United Nations, which is what they were thinking of doing and have done. DOOCY: And, in fact, it’s problematic because for the last 11 years, temperatures had been dropping. 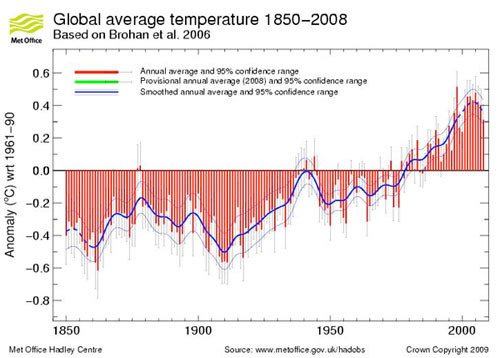 MOORE: — that said there was no increase in temperature; in fact, it’s been going down for the past 11 years. And the Obama administration stopped the report. HANNITY: Wait, wait. Wait, wait. There’s more to that, though. BECKEL: — which is something you’ve never done. Wait a second. HANNITY: — wait a minute — that they purposefully hid this information. They buried it. HANNITY: That’s a great point. TRACE GALLAGHER (co-host): I wanted to point out, Bill, the story that you kind of informed us about earlier: these emails. The EPA kind of suppressing this scientific information, scientific evidence, that maybe global warming is not as bad as we think and maybe carbon dioxide emissions are better today than they were 50 years ago. Talk about those emails more. SAMMON: There was an important report issued by an EPA scientist, about 100 pages long — almost 100 pages long — that said that maybe we really shouldn’t be regulating carbon dioxide. After all, global temperatures have fallen for the last 11 years. He listed a number of other pieces of data such as, for example, the ice in Greenland is not melting as fast as everybody thought it was. The EPA is now accused of ignoring this guy’s dissenting report and forwarding their own sort of politically arrived-at conclusion.